Today giveaway is a powerful Premium WordPress themes called Switchblade from our friend - WPScientist. Congratulation to the following winners, you guys have won a copy of awesome WordPress theme Switchblade. Thannks for your participation, stay connected with us for more awesome giveaway in the future! Please disregard previous message; I forgot to add in the Twitter ID and email address. Hi! 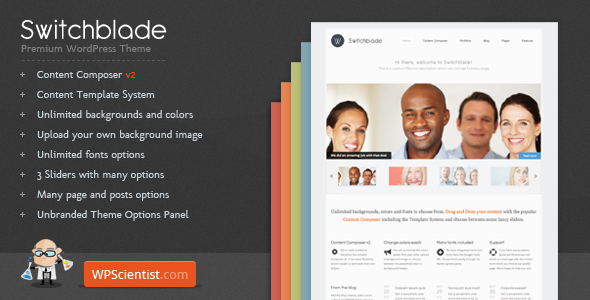 Thanks a lot for SwitchBlade Premium WordPress Theme! How can I get this amazing prize? Do I have to provide you with some documents to confirm my name?